Time to flex your design muscle? Designers come to FORREC because our projects are like nothing they’ve worked on before in traditional design environments. 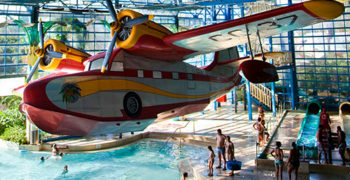 Imagine the freedom to think up what makes a theme park, water park, resort, visitor attraction or mixed-use development become a number one travel destination. Or to work on landmark projects in Toronto that shape the fabric of a neighborhood here at home. Creativity is our lifeblood, and we draw from the talents of five studios to get the best results. You’ll collaborate with award-winning architects, landscape architects, interior designers, graphic designers and creative leads to come up with amazing ideas that raise the bar higher than you ever thought you’d go. We want people who challenge the every day. Who are ready to explore what they can really do. If that sounds like you, we should meet. The Master Planner reports to the Assistant Director – Landscape Architecture Studio and is responsible for designing multi-use master plans for medium to large scale international planning projects. 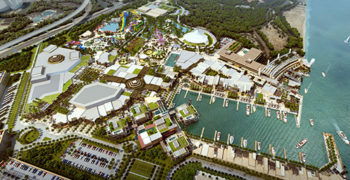 The incumbent will be required to demonstrate above average creativity and understanding in master planning for a variety of areas including: entertainment design – theme parks and water parks; urban design; landscape planning and design; mixed-use development; leisure parks; resorts and hotels; and community planning. Designs multi-use master plans that clearly demonstrate a flair for design and creativity in both planning, landscape design and architectural forms. Applies contemporary design ideas and creativity to assigned planning projects. Creates and communicates designs and master plans from a blank canvas/green field site or within the context of existing developments. Distills complex information essential for client discussion and decision-making. Interprets verbal and written directions from project managers into professionally completed documents or products. Ensures that designs and deliverable documentation meets clients’ expectations. Assists with management level presentations that achieve desired outcomes and client confidence. Bachelor’s or Master’s Degree in Landscape Architecture, Architecture or Urban Design and Planning, or equivalent. 5-10+ years of professional experience. Experience working on complex international master planning projects. Experience working on mixed-use development projects. 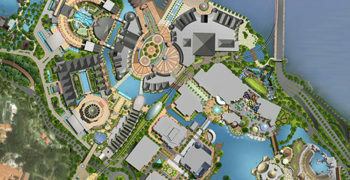 Entertainment design experience such as theme parks, water parks, resorts and visitor attractions. Preference will be given to candidates with large scale experience. Knowledge and ability to use analytical and problem-solving techniques. Excellent design, illustration and visualization capabilities. Ability to communicate design intent in plan views as well as spatially through 3D renderings. Strong presentation and organizational skills. Ability to complete tasks and produce deliverables independently with periodic supervision. Ability to develop ideas independently, quickly and fluently and translate them for discussion. Ability to work collaboratively in a multi-disciplinary team environment. A vibrant, creative space in the design hub of Liberty Village. A culturally and creatively diverse group of people who weave fun into their work every day. Pool table, ping pong, video games on-site. Free fitness and yoga facilities in the building. Varied social events led by our social committee. Company matching group retirement savings plan. Public transit at the door. We thank everyone in advance for their interest in this job opportunity, however, only those candidates under consideration will be contacted directly. FORREC Ltd. is committed to providing an equal employment opportunity for all individuals. As such, accommodations for persons with disabilities are available throughout our recruitment process. If you require an accommodation due to a disability, you may make a request via email at hr@forrec.com or by phone at 416-696-8686 ext. 390.